Is there anything more perfect than a good book to read together at bedtime? And whether the story makes you laugh or makes you think, makes you smile or makes you tear up, there’s no replacing a book that makes you feel closer to the one you’re with. These eight picture books can each bring a closeness to bedtime in their own way. “There were ALL the bears. 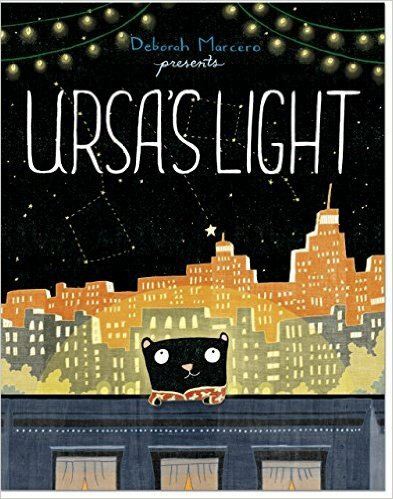 And then, there was Ursa.” Ursa see the world differently. She dreams. She invents. And one day, she declares she is going to fly. After several failed attempts she sets her gaze at the cosmos and auditions to be a comet in an upcoming theater production. Ursa’s minor failures lead to a major accomplishment. Marcero’s beautifully textured illustrations are notable and beg to be looked at up close. A family of bears awaken from hibernation and go about their ways gathering berries and hunting for food. 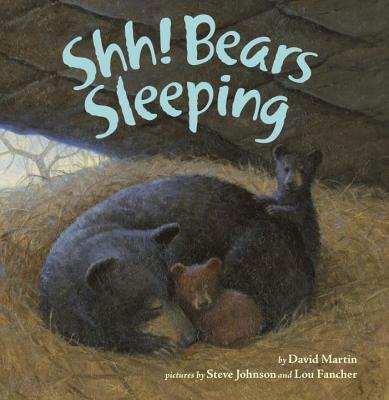 The poetic text is observational in nature, as if the narrator is whispering in short phrases to the reader as he or she witnesses a family of bears interacting in the woods. The lifelike illustrations depict flora and fauna in the changing seasons and the text is positioned along the edge of the pages, allowing the reader an unbroken gaze at the rhythmic habits of the bears. As Bear scavenges for food among the berries and beehives and coolers left unattended by campers, he begins to notice the moon rising as if to keep watch over Bear’s marauding. Of course, as time passes the moon rises higher and higher overhead, leaving Bear increasingly paranoid as to Moon’s intentions. 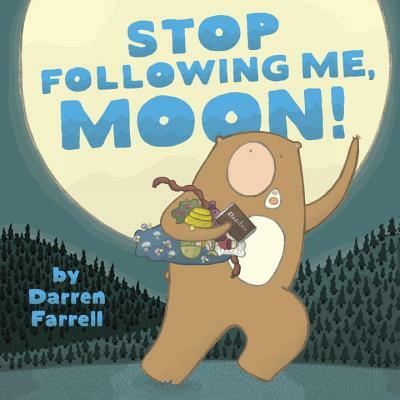 As the clouds come out and the ranger draws nearer to cornering Bear, Bear reconsiders his relationship with the moon. Glow-in-the-dark stickers are awesome, but in order to see them in full effect you have to be willing to brave the dark. Therein lies the problem for Penguin. Ella and Penguin consider options that are less dark, but ultimately come to the realization that finding the courage to venture into the closet with their sheet of stickers is the best option. 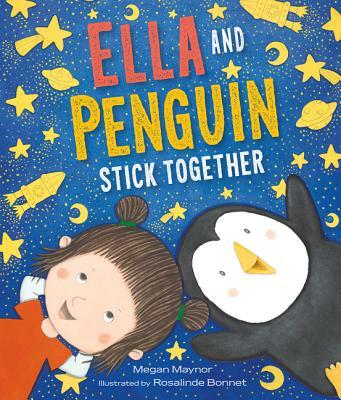 Ella is an always-gentle, always-understanding friend to Penguin, never pushing Penguin too hard, but also reassuring Penguin that he does not need to brave the dark alone. And in the end? Having a friend by your side always wins the day! If only going to sleep was as easy as for George as turning off the light. But it’s not. And that’s all thanks to the monster under his bed. 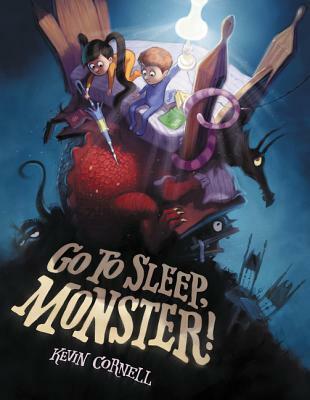 But what starts as a simple problem for George and his sister, Anna, escalates as the monster under the bed says he can’t sleep on account of the monster under the floor. The monster under the floor can’t sleep as a result of another monster, who is restless thanks to another monster, and so on, in an almost never-ending chain. So who’s at the start of all of this, and can we finally get some sleep? Lucy woke up on the wrong side of the bed, but that was just the start of her off-day. 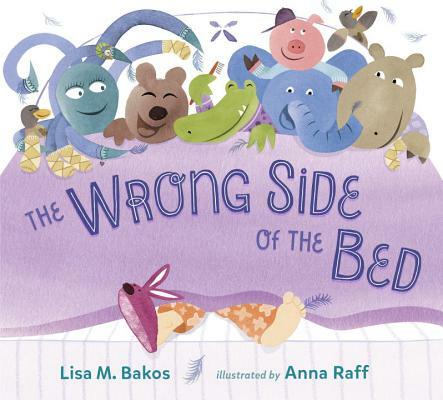 Messy hair, disheveled pajamas, a missing bunny slipper—all of these add up to worse and worse incidents for Lucy, including missing the bus, being late for ballet, and having to take a bath with smelly bubbles. (That was one of our favorite parts!) The repeating text of the refrain grows as new problems are added to Lucy’s day. Could things get any worse for Lucy? 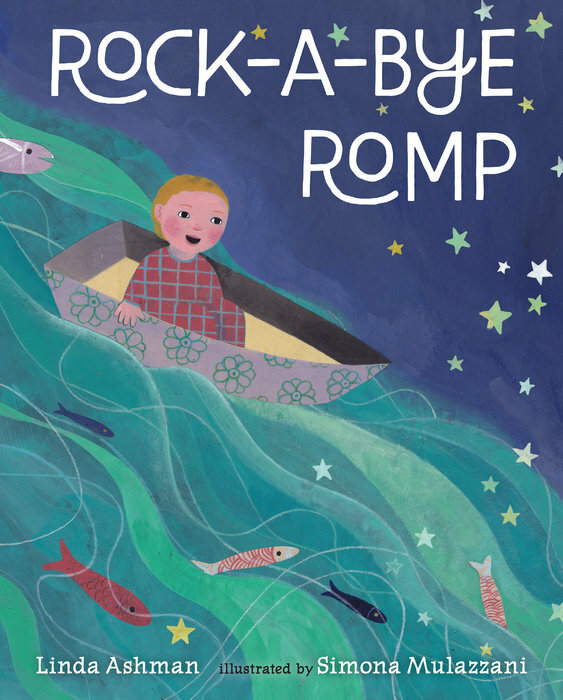 The beloved rock-a-bye baby rhyme is expanded here to encompass a night’s dream journey from a treetop into a nest, through a farm, onto a stream, and ultimately into a waiting mother’s arms. The familiar rhythm of the song is carried on throughout this text, offering up its own rocking back-and-forth through dreamy illustrations of starry skies and soothing blue hues. This picture book has all the makings of an instant classic. Lucy’s family spent the day playing at the beach but now it’s time for bed. Full of yawns, Lucy’s mom falls asleep reading her a story, but Lucy can’t quite sleep yet. She goes to retrieve a stuffed animal friend and sees dad sleeping, but again, she can’t quite sleep yet. 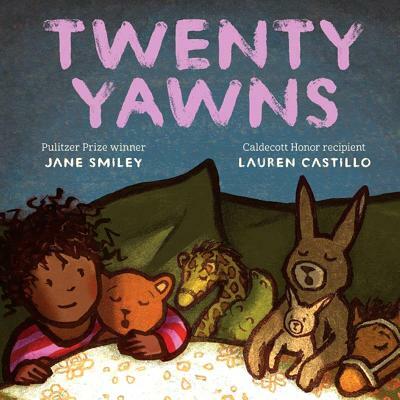 And while everyone is full of yawns, it takes a full twenty yawns (and just the right friends at bedtime) for Lucy to finally get to dreamland.